I honestly don't know how much rainy days we've gotten in the past two weeks, but I've taken to being indoors quite a bit. 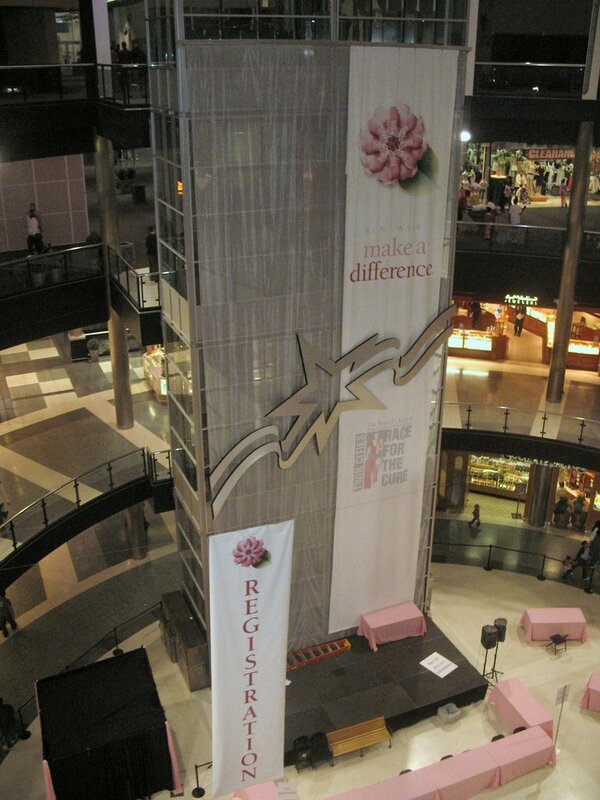 Was out at the Mall Of America in Bloomington, Minnesota this past weekend. There almost always is some event going on in the circle rotunda, today was no exception. 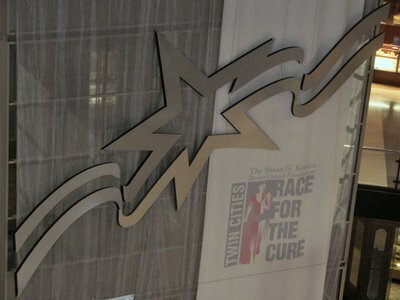 The Twin Cities Race For The Cure was held on Mothers Day is a 5K run/walk to help raise money/awareness for breast cancer. The banner was amazing reaching four stories high.